This idea came about when I started playing Dungeons & Dragons for the first time and decided to play as a mage. As anyone who has ever played a spellcaster can attest, trying to keep track of the many pages of spells becomes overwhelming. After not finding an existing app that tackles this problem well, I decided to build it myself. This is still a work in progress, so it's ugly but mostly functional for myself right now. 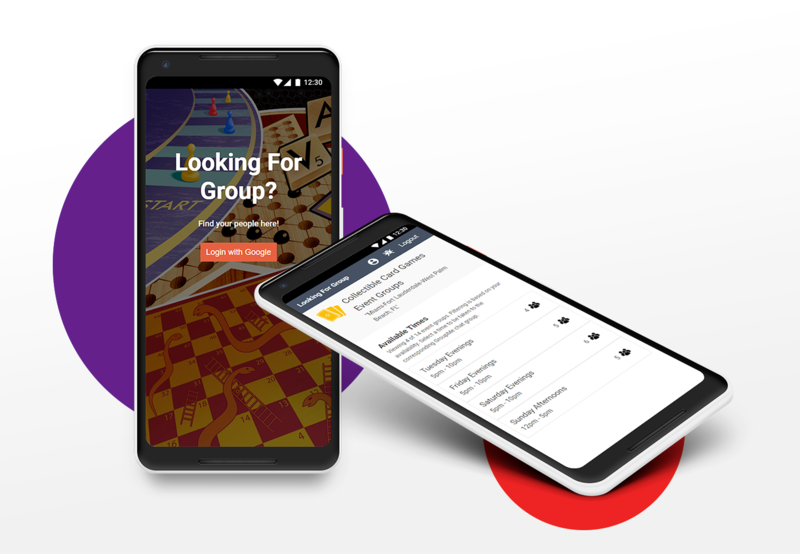 The goal would be to be able to have anyone make use of it for their D&D roleplaying needs and potentially build a React-Native version. The series of steps to create anew character. 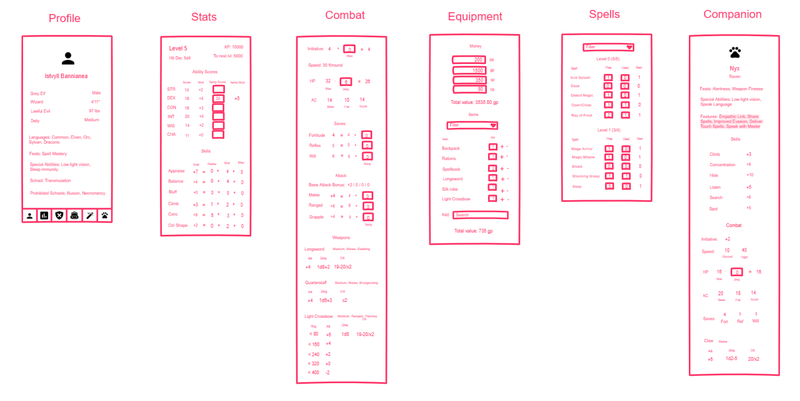 The main set of screens for managing your character. 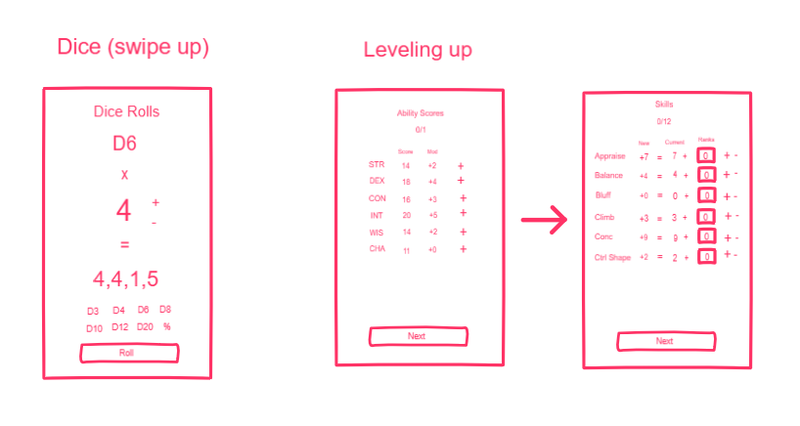 A built-in dice rolling app and the leveling up screens. Below are some more shots of the actual app in its current state. The main profile of the character. Clicking on a special ability or feat will bring up details in a pop-up. The pop-up with detailed information about a particular feat or special ability. This screen presents all of the character's ability scores and skills, which are crucial during their journey. The Combat screen featuring combat stats. The character's weapons are presented at the bottom of the Combat screen. The equipment screen shows the character's money and all of their items. The main reason to build this app. I wanted a quick reference of all of the spells available to my character and the ability to track their use. Clicking on a spell will bring up detailed information on its use. This will undoubtedly speed up any combat involving a spellcaster. Certain classes have animal companions. This screen presents all the relevant information to make effective use of your buddy.